The men in blue will look to build on their winning momentum while hosts will aim to level the ongoing series when the sides meet at the Bay Oval. What time does the 2nd ODI between India vs New Zealand start? 2nd ODI starts at 7.30AM IST on January 26, Saturday at the Bay Oval in Mount Maunganui. What TV channel and the live stream is the 2nd ODI between India and New Zealand Live Streaming on? Star Sports 1 and Star Sports 1 HD in English commentary and Star Sports 3 and Star Sports 3 HD in Hindi Commentary. Hotstar, JioTV and Airtel TV will live stream India vs New Zealand match. Where will the 2nd ODI between India and New Zealand being played? The 2nd ODI between India and New Zealand will be played at the Bay Oval, which is a cricket ground in Mount Maunganui, from 7.30 AM IST. 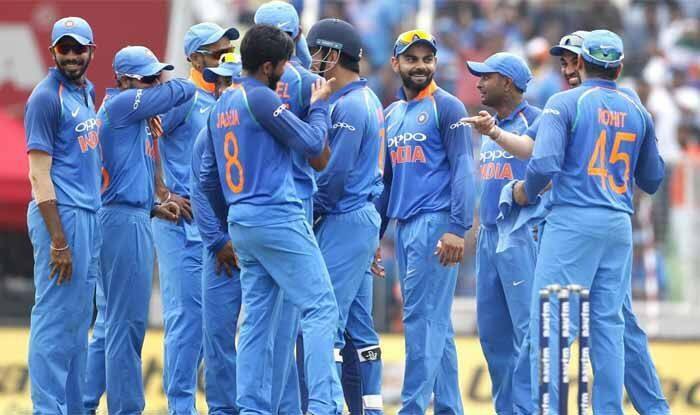 Where can I live stream the India vs New Zealand 2nd ODI live? India vs New Zealand will be available for free live streaming on Hotstar and JioTV. Where can I check the online live updates of the India vs New Zealand 2nd ODI? You can follow our updates of the match between India vs New Zealand from our live blog on india.com/sports.